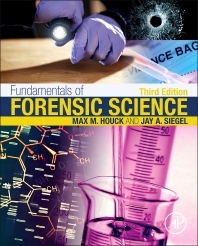 Fundamentals of Forensic Science, Third Edition, provides current case studies that reflect the ways professional forensic scientists work, not how forensic academicians teach. The book includes the binding principles of forensic science, including the relationships between people, places, and things as demonstrated by transferred evidence, the context of those people, places, and things, and the meaningfulness of the physical evidence discovered, along with its value in the justice system. Written by two of the leading experts in forensic science today, the book approaches the field from a truly unique and exciting perspective, giving readers a new understanding and appreciation for crime scenes as recent pieces of history, each with evidence that tells a story. Advanced undergrad and graduate students in forensic science.